Equipment Rentals in Utah | Wheeler Machinery Co.
Wheeler Machinery Co. has the heavy equipment rental you need at the rates you want. We feature a full line of mid-size and smaller Caterpillar machinery. Because we are a full-service rental store, we also carry a large variety of other name brand tools and equipment, anything from light towers to generators and much more. Whether your industry is commercial construction, municipal road repair, general contracting or farming and agriculture, you rely on top-quality equipment to maximize productivity. Having direct access to all the heavy machinery, tools and attachments you require is a major advantage for operational efficiency. If you are in the market for heavy equipment for rent in Utah, Wheeler Machinery has everything you need when and where you need it most. Do you need heavy equipment for a specific period of time, such as for a temporary project or to replace a machine that is temporarily out of service? Do you have a short-term application that calls for a specific machine or want to try out a new piece of equipment before making a long-term investment? If so, a construction equipment rental can provide the perfect solution. Wheeler Machinery Co.’s Cat® Rental Store provides the flexibility, performance and productivity your job site demands. We offer an extensive selection of heavy equipment for rent in Utah that’s expertly maintained to operate at peak performance levels. Whether you need skid steer loaders and motor graders in Salt Lake city or articulated dump trucks and mini excavators in Ogden, you’ll find exactly what you’re searching for in stock and ready to deliver. We offer both short-term and longer-duration heavy equipment rentals based on your unique requirements. Need a different machine rental or work tool to tackle a specific application? Or, has the needed timeframe gotten shorter or longer from the time you first rented your equipment? It’s never a problem when you rent Cat equipment with us. With one call or click, the heavy equipment rental you need is on its way to be delivered or picked up. 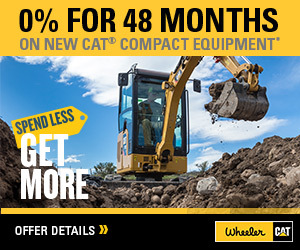 No matter how much, how soon or for how long, Wheeler’s Cat Rental Store is ready to take care of you. 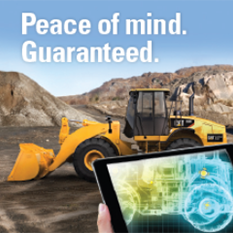 In Utah and areas beyond, Wheeler Machinery is the go-to source for cutting-edge heavy equipment for rent. As your local authorized Cat dealership, we represent the quality, selection and broad capabilities of a worldwide industry leader. And with 10 strategically placed locations throughout the region, the Cat equipment rentals you need are always in close proximity. Wheeler offers a full line of newer, well-maintained Cat equipment rentals in Utah and a complete line of light construction equipment. We feature late model equipment with low service hours, ensuring maximum reliability and the benefit of the latest technological advancements. From light towers to dozers and generators, Wheeler’s rental equipment gets the job done. And, to help get the equipment to your job site, ask about our trailer rentals or machine transports. Supplying the equipment your job site demands with the flexibility renting provides: it’s what we’re built to deliver. With an inventory consisting of more than 1,800 machines, Wheeler Machinery Co. has the largest equipment rental fleet in Utah with units available for daily, weekly, monthly and yearly use. We also offer flexible rental purchase options where the entire amount of each rental payment can be applied to the purchase price. 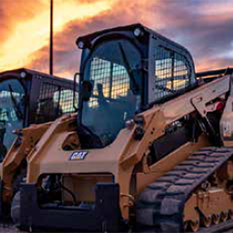 Wheeler Machinery Co. is proud to be a leading source of Caterpillar machine rentals in Utah and parts of Wyoming and Nevada. We take the time and effort out of finding the equipment you’re looking for with quick and easy online browsing and ordering. Should you require assistance choosing the right equipment or attachments, our experienced team is always available to help identify the solutions that make the most sense for your project and your bottom line. To view our current selection of heavy equipment for rent, visit our easy-to-navigate equipment rental website. From construction equipment and power systems to industrial lighting and attachments, you’re sure to find everything you require. You’ll also be able to take advantage of our Quick Quote feature, which gives you fast access to up-to-date pricing information. Make Wheeler machinery your one-stop construction equipment rental headquarters in Salt Lake City and beyond! Get in touch about machine rentals in Utah and throughout our service territory today.